The official theme song for Tsuburaya's upcoming Ultraman Geed summer movie has been finally revealed. Listen to the heart warming song after the break. The song is entitled "Kizuna Infinity" and is performed by May. J, who have also performed songs for Carranger and Precure. 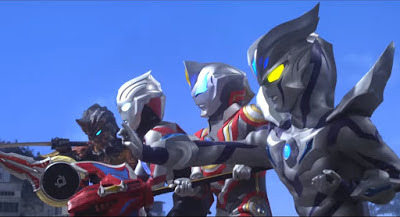 Ultraman Geed The Movie: Connect The Wishes!! will premiere in Japanese cinemas this March 201, 2018.